Pusha also started a college fund for Jeffrey “Lil J” Laney of St. Louis. When a six-year-old in St. Louis named Jeffrey "Lil J" Laney pleaded on a Facebook video for the gun violence in his city to end, nearly 200,000 people watched the video. It went viral. Lil J's video was a sincere and heartbreaking response to the gun violence in St. Louis. In a study done by The Guardian, gun violence in St. Louis falls much higher than the national average, comprable with cities like Chicago and Baltimore. "It sort of shocked me that a 6-year-old was so well-spoken about violence," Pusha T said in an interview with Mic. "Watching him try to get his point across and basically pleading with the world — I was like, 'You can't ignore this.'" Pusha T saw Lil J's video, which was posted on his mother's Facebook in April, and responded by writing the boy a letter, as well as taking action. "I saw your video and I'm really sorry that you are having to deal with people shooting guns and hurting others where you live," Pusha began the letter. "A lot of people can't imagine how hard it is being a kid where you are from, If I were you, I would be scared too. But I thought it was very brave of you to speak up and try to help your family, friends, and community." 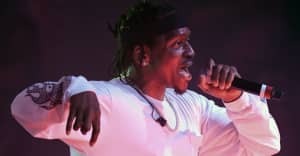 Pusha T put action to word and sent Lil J and two of his cousins to the St. Louis Six Flags, and also enrolled Lil J in summer camp at the Boys and Girls club. Lil J will get to see Spider-Man: Homecoming in an exclusive screening. He also sent toys, games, and books to Lil J's home, for when Lil J wasn't at summer camp. And his final gift was perhaps the most powerful– a college fund started for Lil J. This isn't the first time Pusha has shown interest or commitment helping children achieve success and improving communities. He teamed up with former President Barack Obama on the My Brother Keeper initiative which is a program that works to guarantee pathways to success for all children, and also supports a mentorship program for young men of color. The program called I Am My Brother's Keeper, oversees 25,000 mentors. You can watch Lil J's original video, as well as his response video below. 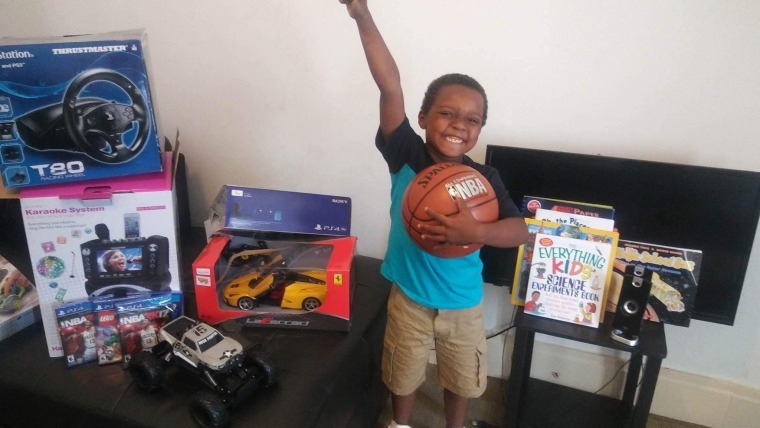 You can also read Pusha T's full letter and see Lil J below posing with some of his gifts from Pusha T.
Hi my name is Terrence "Pusha -T" Thornton. I saw your video and I'm really sorry that you are having to deal with people shooting guns and hurting others where you live. A lot of people can't imagine how hard it is being a kid where you are from, If I were you, I would be scared too. But I thought it was very brave of you to speak up and try to help your family, friends, and community. There a lot of 6yr olds all over the United States who are scared just like you and guess who their Super Hero is...YOU!! Since you like helping people I wanna help you. What I'm gonna do for you is make sure that you have the fun that every 6yr old should have this summer. I'm sending you, your cousins Janiya and Brandon to Six Flags Amusement Park in St Louis, I know you guys are gonna have the best time. When you arrive back, all of you will all start summer camp at the boys and girls club. All summer long you will be learning, playing, and meeting new friends. I heard that you love Spider Man so I'm gonna make sure that you will be one of the first to see new Spider-Man movie next month!! I also sent some things to your house for the times you aren't away at camp. There are some games, books, an iPad and other toys to help you enjoy the summer and beyond. I can’t wait to hear about which books you liked better and which car was the fastest. I hope the package encourages you to learn new things and most importantly, imagine. P.S. I started this thing called a college fund for you...it's for when you grow up a little, you don't have to worry about it now but when you do need it, its there for you.